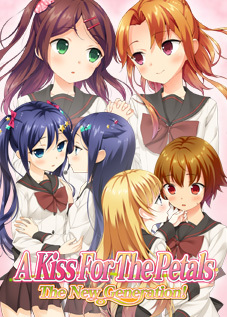 Yurin Yurin revealed the second visual novel in the blue label series, A Kiss For The Petals – The Angels’ Spring Romance (その花びらにくちづけを　天使たちの春恋 Sono Hanabira ni Kuchizuke wo – Tenshi-tachi no Harukoi), on 11 July 2013. The staff of the previous visual novel returns: Aida Takanobu produced the art, while Madoka Madoka wrote the story. It was released on 30 August 2013. The story brief and character information has been translated by Ralen. 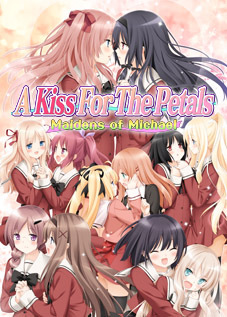 The lead characters previously made minor appearances in A Kiss For The Petals – The Angel’s Longing. An extreeemely pushy and overprotective girl. In her first year of nursing school. Satsuki’s classmate and dormmate. Has a soft, feminine disposition. Fairly protective, she always speaks formally, with a deference to others. Her overbearing disposition stems from her “What would you do without me?” attitude toward the frequently troubled Satsuki. A brilliant, but frank and aloof girl with boyish tendencies. What you would call an aloof mystery. Up front and self-assured. She always speaks in a masculine way. Although she’s never had much interest in eating, Yuuno has been using her home cooking to draw her out more, so that she’ll be straightforward with her expressions of affection, regardless of their surroundings. Yuuno had just been admitted to nursing school and was filled with a desire to watch over her classmate and roommate, Satsuki. Satsuki was a brilliant girl who was admitted to nursing school with top marks; however, she wasn’t very aware of her surroundings, and her ability to get by on her own was extremely poor… She was kind of eccentric. How will Yuuno react to Satsuki’s sudden confession…? As before, six preview images are currently available. Unlike Yurin Yurin’s previous releases, the website for this release was published without prior teasing. It was announced as one of two sequels to Longing of an Angel on Reo-ppoi Radio episode 54, released on 27 April 2013. Anzu Hana announced her involvement in this sub-series in Reo-ppoi Radio as well. 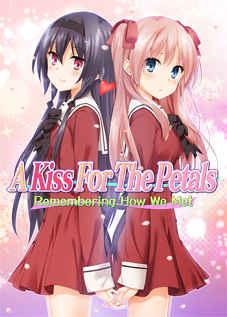 With two distinct lead roles and three opening themes, Anzu Hana is now the most prolific voice actress in the A Kiss For The Petals series. 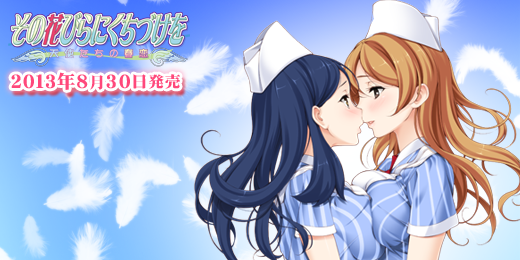 Yurin Yurin published the introduction sequence for this visual novel on 26 July 2o13 and has titled the song “Darling Goona…” [sic], being an arrangement of the introduction theme from Longing of an Angel. It is unknown if this is an intentional retraction or an error. Update 18 September 2013: Reo-ppoi Radio episode 63 opens with an announcement that the title is Myakuhaku Ijou and that the previous information was erroneous. The release date is set for 30 August 2013. This post will be updated as new information becomes available. You can follow Yurin Yurin on Twitter (@yurinyurin_soft), for more information in Japanese. Update 18 September 2013: Sample voices and promotional banners have been added. “Heart Beat Disorder” is strange or not making sense? “Racing Pulse” is the translation chosen by Ralen. It is an English term that can specifically refer to the increased heart rate caused by romantic feelings. “Heart Beat Disorder” is too general a term and has negative connotations; my first impression of it was a reference to irregular heartbeat. Oh… basically, Myakuhaku Ijou means not only positive image. The lyrics is not only positive, so, “racing” is not suitable, I felt. As you know we are translating the lyrics and Ralen changed the title to “Arrhythmia”. (=不整脈) Myakuhaku Ijou is a coined word but I agree the meaning is arrhythmia. In the promotion movie, they also say 「ちょっとエッチでちょっとシリアス」 “a little naughty, a little serious” (0:57). Usually they say 「ラブラブで、ちょっとエッチで、ゆりんゆりん」 “Lovely dovey, a little naughty and yurinyurin”, but spring romance is not only lovely dovey, probably. I say again that is the reason of Madoka Madoka attended, there is no reason to change the opinion from the promotion video. I welcome, rather I’ve been longing this change of Sonohana series. And St. Michaels’ is not changed, only nursing school is changed. That is best choice, I think. In the movie, song title (Darling (heart) Goona) and Yuuno’s sir name (Hikawa) should be typo.